Update November 21, 2017: PowerColor were the latest AMD board partner to throw their lot in with RX Vega, announcing their Red Devil RX Vega 64 custom triple fan card only last week. Despite their late RSVP to the custom card party, they appear to be the only AIB who is actually going to turn up to the ill-fated event – with Overclockers UK listing the Red Devil as now available for preorder. Want the latest and greatest pixel-pusher? Here are our picks for the best graphics card. 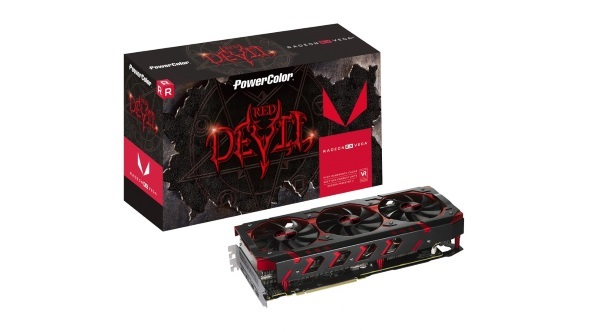 While RX Vega 64 cards seem to be dropping to relatively near-MSRP (£450) in recent days, possibly for a limited time due to Black Friday, the PowerColor in full Red Devil fare will hit your wallet to the screeching tune of £590. This non-reference beast with its whopping price tag will serve as quite a handy indicator for other third-party manufacturers debating possible RX Vega releases. If the card sells well, then it’s green light for more to follow. But with a high price point, soaring above current prices for even the greatest GTX 1080 chillers, the Red Devil is looking like it doesn’t stand a chance in hell. Original story November 17, 2017: AMD’s RX Vega graphics cards launched back in August, and while third-party cooler designs have been ‘teased’ for months, AMD fans are still patiently waiting for the day these arrive on the shelves – but at what cost? Since launch third-party design RX Vega graphics cards have been thin on the ground. Nvidia’s latest GTX 1070 Ti launch, aimed squarely at the AMD RX Vega 56, was jam packed with bulky heatsinks and multi-fan designs from the get-go, yet with AMD’s competing cards, this is far from the case. AMD’s reference RX Vega 64 design is far from perfect. You can’t blame customers for wanting to ditch the radial fan and blower design for something a little more… quiet, at least. These third-party cards aren’t just a figment of the collective’s imagination either, they exist – the problem is no one has launched the damn things yet. Asus teased their ROG-branded Strix Vega 64 not long after the initial RX Vega launch. 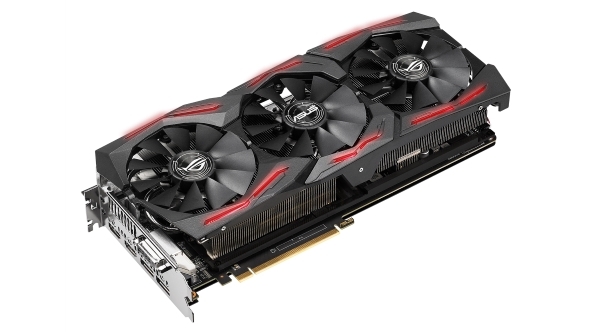 This card promised the full Strix treatment for this, AMD’s bandwidth behemoth, and the RGB-laden card even made it onto reviewer’s desks, albeit with disappointing temperatures. It was this close to possibly opening the floodgates to third-party cards, no other manufacturer would let Asus have a monopoly – but it has still yet to arrive in retail. That’s just one of many manufacturers, right? Plenty more board partners in the sea, after all. These cards aren’t make or break for a multi-faceted manufacturer like Asus (or Gigabyte for that matter), but surely the likes of AMD-exclusive manufacturers such as Sapphire, XFX, and Powercolor have some degree of urgency with the latest RX cards. 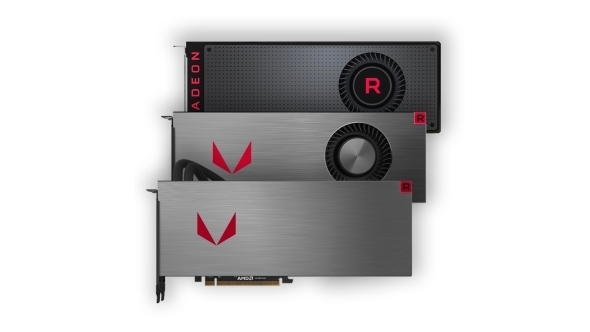 Sapphire haven’t officially launched a Nitro design card for Vega yet, but recent leaks have put one top of the agenda, possibly before the end of the year. 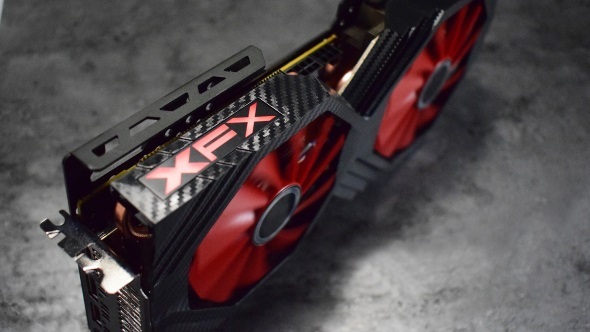 It’s difficult to get excited for their potential triple-fan monster Nitro card, this isn’t our first rodeo after all, XFX teased their first RX Vega card at the start of November, promising a launch supposedly soon enough that anyone with orders for reference designs should cancel and wait a little while longer. A tough sell for customers waiting since August. PowerColor have followed suit with their teased Red Devil 64, this time hinting at a launch late November. But beyond the unlikely launch dates and broken promises lies another trap just waiting to be sprung on the unassuming customer – pricing. With RX Vega 64 prices still soaring above the $499 MSRP, all semblance of comparative price/performance versus Nvidia’s GTX 1080 goes out the window. Current pricing for reference designs are around $570 / £520, pump up these costs again with chunky coolers, premium power delivery components, and a little pinch of price gouging – now that’s a recipe for disaster. Unfortunately the blame rests entirely on AMD’s shoulders, and stems from the Vega architecture’s early development. HBM2 memory has significantly hamstrung AMD in terms of minimum pricing per unit for RX Vega. It’s no secret that these stacked memory modules come at a cost, and it doesn’t help that they are in short supply too. With board partners wary of launching custom RX Vega cards, it seems they are well-aware of the potential for the, dare I say, flop that these cards present in custom garb. It’s a shame that the potential for small-form factor, or overclocking monsters, hasn’t, and likely won’t be, taken advantage of with Vega, especially considering these cards proclivity for tweaking beyond AMD’s specs even in reference fare. AMD’s high-cost architecture is bound to strike yet another blow to patient die-hard AMD fans before time’s up – if these cards ever make it beyond edgy/leaky photoshoots and rumoured launch dates, that is.